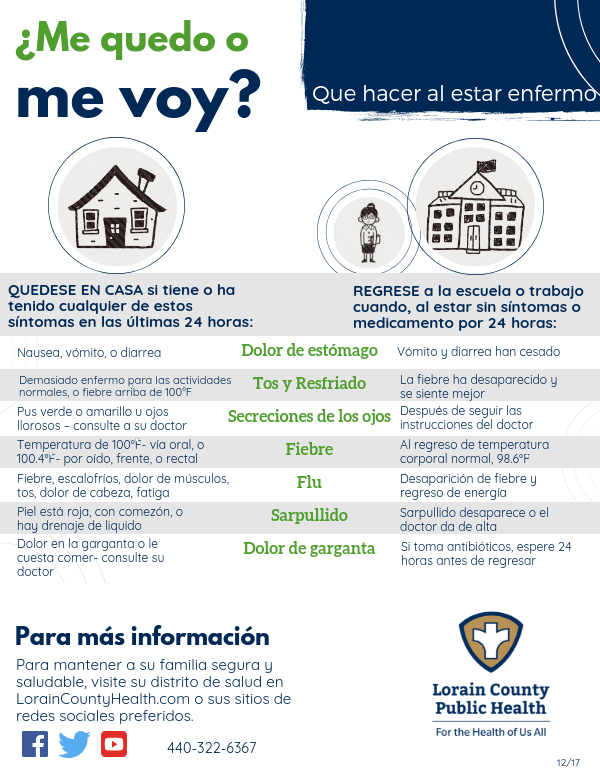 Wondering whether you should stay home from school or work today? 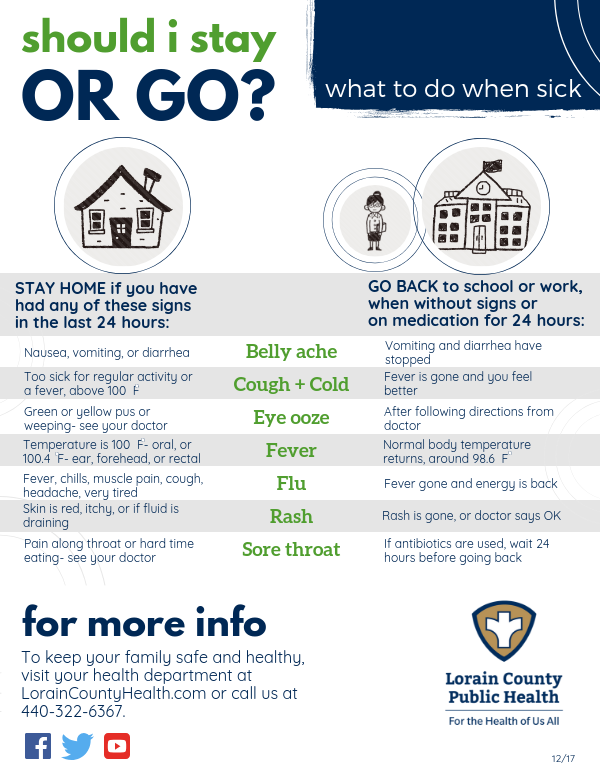 Use this simple chart to determine whether or not it is safe for you to go to work or school. It’s okay if you need to stay home - your body needs rest to recover from being sick, and your coworkers and classmates will thank you for keeping your germs to yourself.